State-owned Air India is hiring over 80 junior pilots for its wide-body Boeing B777 and B787 aircraft to meet the shortage of cockpit crew. 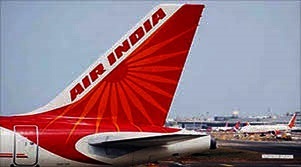 The process to induct these first officers or co-pilots is in the final stage and they are expected to join Air India by next month, an airline source said. Air India currently has about 170 co-pilots to steer its 15 B777 and 23 B787 planes as against a requirement of over 370, the source said. It is scheduled to take delivery of four more Boeing 787 as well as three B777 between July this year and March next year. The airline operates these planes majorly on its long and ultra-long haul routes. “As many as 95 candidates were selected for the simulator test after they cleared the written examination. Of these, 85 could clear the simulator test and they are now in the process of joining Air India,” the source said. These candidates are already type rated on narrow body Boeing 737 and conversion as pilots for the wide-body B737 can be done easily, he said. “Conversion from a narrow body Boeing pilot to a wide-body Boeing aircraft pilot is easier than from Airbus to Boeing or vice versa as the training period then gets reduced from eight sessions to about four sessions,” the source said. This, in turn, reduces the type rating cost as well, he said. Of the 85 co-pilots who are expected to join the airline in May, 45 are likely to be deployed on B777s and the remaining 40 on B787s, he said. Type rating is a regulating agencies’ certification given to a pilot to fly a certain aircraft type that requires additional training, which involves huge cost, beyond the scope of the initial license and aircraft class training. According to the source, a B777 requires a set (each set has two pilots) of 13 pilots (26 pilots) and a set of eight pilots (16 pilots) is needed for operating a Boeing 787. There are nearly 90 co-pilots currently on B777 fleet and 80 first officers on B787s. “Going by the standard requirement, the airline needs at least 195 co-pilots for 15 B777s and 184 for 23 B787s. Moreover, seven more such planes are going to be added in the fleet in the next one year. So even after inducting 85 more pilots, the shortage will remain,” the source added.